Marketing is in critical condition. Hurled into the twenty-first century amidst a storm of digital disruption, it has since focused on solely surviving in a hostile climate. But mere survival is no longer a mark of fitness. Audiences demand excellence. And marketing excellence requires agility. Using a detailed historical lens, Death of a Marketer charts a course toward marketing's Agile future. Marketing's cyclical history, from flowery persuasion to the no-nonsense hard sell and back again. A detailed walk through of four Agile methodologies that can help marketers thrive in their uncertain environments. Compelling reasons that enterprise organizations and one-person teams alike should be racing to adopt an Agile marketing approach. 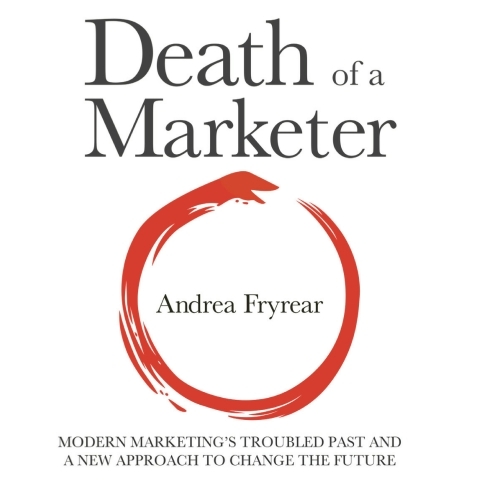 Founded on in-depth research and real-world examples alike, Death of a Marketer is a must-read for all modern marketing professionals. 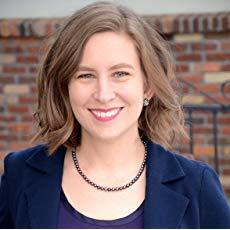 Andrea is the president and lead trainer for AgileSherpas, an Agile marketing training company. She is one of the world's leading advocates for Agile marketing and is a sought-after speaker on the topic. In Death of a Marketer she combines more than a decade of digital marketing expertise with thorough research and in-thetrenches agile experience. Her pet peeves include misuse of quotation marks and running out of wine when on deadline. If she's not attending a Standup meeting or Retrospective, she's almost certainly on a volleyball court somewhere.